Joyce Dinkins is a publishing leader with Our Daily Bread Ministries (ODBM), a Christian nondenominational nonprofit. 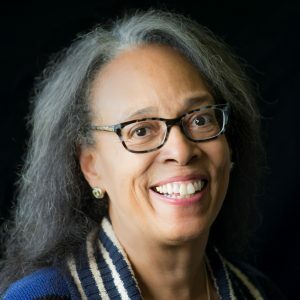 After two years executing editorial for the Our Daily Bread devotional, Joyce now directs a publishing board that develops partnerships, provides publishing services, and develops products for diverse African American entities and audiences as well as for general markets. Joyce collaborates to acquire authors and other publishing talent for special editions of Our Daily Bread, for books published by Discovery House, and collaborates in content development for other ODBM channels, at US headquarters. Before joining ODBM in 2015, she dedicated 9 years as New Hope Publishers managing editor, 4 years as a NavPress editor, and 13 years as a David C. Cook editor. Joyce’s freelance work includes projects for a dozen more Christian publishers since 1995. After beginning her professional career as an NBC-TV news writer, she was a copywriter at the Chicago Tribune, and created corporate communications for many years. Since 2005, Joyce has enjoyed membership in the Academy of Christian Editors. She has earned awards and honors from professional groups, and as an undergraduate and graduate student. By collaborating in a range of publishing conferences, she enjoys sharing her enthusiasm and experience.